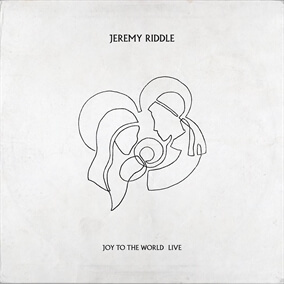 NEW from Jeremy Riddle - "Joy to the World (Live)"
Joy to the World (Live) is the newest album from Jeremy Riddle, and his first independent release in partnership with Watershed Music Group. Featuring four Christmas classics and a brand new capture of “All Hail King Jesus”, the heart behind the “Joy To The World” Live Christmas EP is wonder. Jeremy’s desire is to bring the awe and wonder back to this Christmas season through worship. Jeremy shares, "There is no worship without awe and wonder. If you want to recapture something you have to restore it to its original context. These songs are meant to lead us into an encounter with the Savior, with the nature of God Himself, they were meant to be sung in worship ­they are worship songs!" Original Master MultiTracks and other worship-­leading resources for "Joy to the World (Live)" are now available.